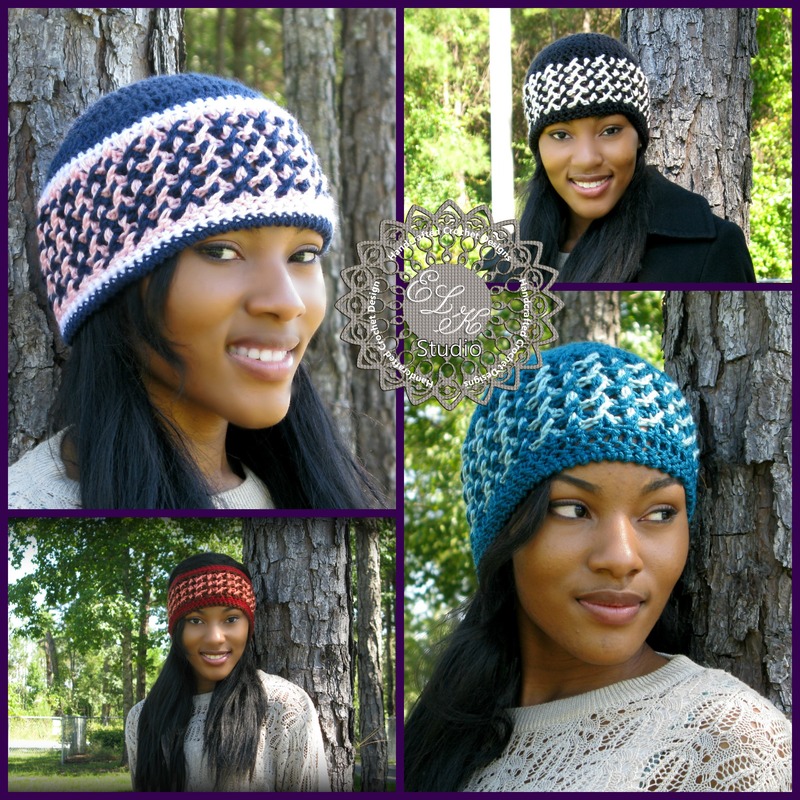 Seasonal Bliss Beanie and Headband Patterns are Now Available! After coordinating with my testers, multiple edits of the patterns, scheduling the photo shoot, editing the photos and loading it up to the store, I can finally breath again. Whew! It makes me exhausted just to think about it, but there’s no replacing the feeling of accomplishment to finally get a pattern ready to go! Tiara has been my model since the beginning, and I love working with her. She really makes the photo shoot one of the easiest parts of getting the pattern ready because there’s not much editing other than adding my logo. I’m only going to show the beanie and headband photos for now but I’ll tell ya, the other Seasonal Bliss pictures of my signature hat are stunning! I’ve gotten the patterns loaded on my Ravelry store so far, and I hope to have them on Etsy and Crafty within the next couple of days! I’ve listed the patterns at an introductory price of $3.00 each, or you can buy my Seasonal Bliss e-book at a discount price of $5.50. The code to use for the discounts is BLISS and is reflected during the checkout process. The special pricing will last through 09/14/2013. Don’t forget that if you buy the Seasonal Bliss headband pattern, you will receive a free copy of a headband pattern written up with my signature Hounds Tooth pattern! You can have easy access to the patterns on Ravelry by adding them to your favorites! Have a fantastic day and be blessed! Very pretty. I love your design. These look terrific Kathy! Another winner!